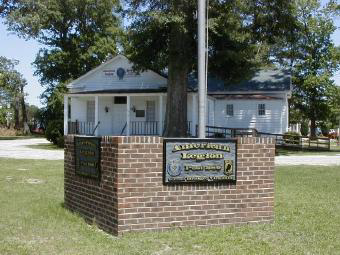 American Legion Great Bridge Post 280, Inc. The programs, committees, and events that we are involved in are as diverse as: Children and Youth, Community Affairs, Law and Order, Americanism, Legion Youth Baseball, assistance with VA benifits, Youth Shooting sports and being involved in the solution for hospitalized Veterans. His name is Jon Criss Sr. and he can be reached at serviceofficer@post280.org or via the Post - 757-547-2120 or his cell phone 757-647-0533. E-mail or call him to obtain help with VA Claims and other Services Officer related paperwork. Post 280 sponsors a Youth Junior Shooting Sports Team. They are called The Ravens. Contact Wayne Scheerer via the post 757-547-2120 for more info or if you have a youngster that is interrested in the Youth Shooting Program. For 2017, Post 280 sponsored 12 Boys State candidates. For 2017, Post 280 sponsored 1 Senior Youth and 1 Junior Youth Baseball Team. Post 280 supports the Junior ROTC programs for two Chesapeake schools. Post 280 sponsors a Law and Order evening to honor the Chesapeake Police Departments - Patrolman of the Year, Chesapeake Sheriff Departments - Deputy of the Year, Fire Department/EMT - Officer of the Year, and Virginia State Police - Division 5, Trooper of the Year. Post 280 host a Thanksgiving Dinner for the veterans of the local VA Hospital and the Virginia Beach Veterans Home - usually 50 very hungry veterans from the Vietnam to the Persian Gulf War eras. If you want to see the look of pure bliss, come see these veterans dig into a home cooked Thanksgiving Dinner. We can always use some help serving, cleaning up and providing hospitality. Post 280 has a very active Services Officer who can help with almost any Veterans Affairs problem. His contact info is above. We, the members of The American Legion Great Bridge Post 280, Inc. will attempt to advise/support any Veteran in need of help. Post 280 rents its hall (capacity 85) with kitchen if needed, at reasonable rates, call 757-609-3439. How is the American Legion Organized?